What about some 7.62x54R values? All of the CSAT 7.62 weapons moved to that. The good news is I have most of the work done on the Warsaw munitions, except for 9x18 Makarov, interestingly enough the 7.5x55 Swiss has been requested a few times by different people so I did some work on that one, VERY VERY limited, in fact only 1 bullet available in FMJ, the others are SP/CoreLokt. The FMJ 7.5x55 Swiss is a true MilSpec round produced by Prvi Partizan, its nothing special but should give you that classic military "feel" in terms of performance. I have been looking into manufacture spec loads for 6.8x43mm SPC because I am NOT happy with the crappy BC that Remington has on their FMJ bullet, it is worse than the FMJ (M855A1) for 5.56x45 in terms of ballistics coefficients. I did manage to find one other manufacturer who uses their own FMJ bullet in 6.8x43 and they are well respected, its Sellier & Bellot. I contacted their team about 12 hours prior to this posting and have already received a response giving me their complete ballistics data table for their 6.8x43mm SPC FMJ round, so I will soon be "updating" my 6.8x43mm SPC FMJ ballistics to represent this new and better change. Ok I am stopping all official work on ballistics right now, no joke, I have to hold off until BIS gets back with me either through E-Mail, Phone chat (highly unlikely), or my thread on the ArmA III Q&A Forums. I seem to be missing critical data on ensuring proper ballistics in ArmA III due to my calculator not having the right atmospheric density, this impacts projectile drop, time to target, & velocity which in turn changes hit and penetration, as you can see this is a SERIOUS problem, while my current values should still be within 5% (barely in some cases) I do not settle for less than near perfection, once I get the data I need I can continue work and get accurate values out to the community developers and ensure that you have an authentic experience within the limitations of the ArmA III base code. Mate, sincerely, I respect your work, so I do hope you get some answers one way or another. The best of luck with it. 2. With the help of the SMA mod team (P1nGa!) I was able to extrapolate the speed of sound in ArmA III based on base sound configs. Q: Why does the speed of sound matter at all in the game? A: The speed of sound is supposed to be set based on atmospheric conditions, however BI just used the number 330 (meters per second) to set the sonic barrier, using that number and sticking to ISA's atmospheric density I was able to get a hyper accurate set of atmospheric conditions for me to plug into an external ballistics calculator to ensure accuracy and authenticity. I am almost 100% sure that BI had no intention on setting the speed of sound due to atmospheric conditions, its most likely a number they either went with or looked up in their local area during development and they stuck with it. THIS IN NO WAY IS STATING THAT ARMA III BY DEFAULT HAS AN ATMOSPHERE, IT DOES NOT! This data only matters for me when comparing ballistics data in ArmA III vs a real external ballistics calculator like JBM, but it signifigantly changes my values and the bullets performance through out its flight path. Q: So Spartan what have you been up to, you have been rather quiet? A: Well I have been working on refining my ballistics to V3, this takes into effect a whole new level of calculation based on BI info (if you scour the forums you should get an accurate picture of what this entails). On top of that I am working very closely with a mod team on a very very secret project and on a firearm that I have absolutely fallen in love with, in fact I plan on purchasing one in RL very soon. Q: Will your V3 ballistics be available for everyone to use or only those mod teams you work with? A: I will be charging a fee for using my ballistics, I believe 20 USD per "pack" is reasonable... Ok just messing with you, of course, my work has been and will always remain FREEWARE with the stipulation that I get credit where it is due if it is used. However, this transition to my V3 ballistics will take time to get to the public, however some mod teams will have "access" to my newest work as I rely on them to test them and give feed back as well as answer any questions they might have about the values, this ensures that when my code goes "live" there should be no errors in the code. Q: What is so different with V3 ballistics over your revised v2+? A: I am using a new standard atmospheric model in external ballistics calculators that takes into account data retrieved/extrapolated from BI's code in ArmA III; also Bakerman is letting me use his new ballistics calculator that is currently WIP (do not fear, the drag model that is used in ArmA III is currently 100% accurate in this calculator), and please do not ask for access to that calculator, its currently in CLOSED testing, until Bakerman says otherwise. Q: Can you share any information on what might be changing and how it affects your ballistics? 1. I am no long using Hornady's Ballistics Calculator, I am now solely using JBM Ballistics Calculators, their simulation is much more accurate and provides me with additional detailed options. 2. I now have access to documentations on bullets from Sierra, Barnes, Federal/ATK, Hornady, and Nosler. This will help me get the ballistics coefficients correct based on muzzle velocity. 3. My new standard atmospheric model is now based primarily on ISA (International Standard Atmosphere) conditions and on BI's data from ArmA III where applicable, this will be explained in full detail on my front page very soon. 4. I now use a private closed test version of Bakerman's ArmA ballistics calculator, this gives me the ability to fine tune the ballistics and view them in "real time" through out their entire flight path in ArmA III so that I can closely match them with real data. 5. I have revised in detail my objectives in terms of acceptable deviation and I will present the deviation standards in full with my updated front page. As I have stated above I am working with a very well respected mod team on a special project, this project will also be the first to use my V3 ballistics, from there I will make my work publicly available for all to use, I just figured this would be a cool way to debut my new work. If you have any questions about this please let me know on this WIP thread and I will get back to you A.S.A.P. Could you please point us to the thread? Thanks for the hard work, keep it going! BI DEVELOPERS DWARDEN & OTHERS, PAY ATTENTION HERE! well a normal M80 BALL round is 147 grains, but that did not work out with a muzzle velocity of 800 m/s, what does is the 175 grain sierra match king bullet in the Mk316 Mod 0 special ball SNIPER round and given the "caliber" of 1.6 you seem to be using the M993 AP round which has a TUNGSTEN CORE, that is the only way you would be able to get 19mm of RHA penetration from a 7.62. So in effect you have an M999 Ultra Performance kill everything 7.62x51mm bullet that does not exist. Also while I am on this subject your RVMAT states that RHA has a density of 8600 kg/m3 or 8.6 g/cm3, REAL MIL-SPEC RHA has a density of 7.84 g/cm3 or 7840 kg/m3, this is unless you decided to go with HHA or DHA armor. In lieu of this I will NOT be following BI's steps in this ballistic calculation, I will be keeping to real data, if my rounds seem under performing keep in mind that BI made medium/large projectiles like this something from CALL OF DUTY, yeah I said it, and my findings prove it. Q&A section updated on front page; on another note once I finish my current work segments with Red Hammer Studios (RHS), Half Life Creations (HLC), and Specialist Military Arms (SMA), I will make all of my new ballistics data publicly available. I have been working consistently on my v3 ballistics and work is progressing quite well. I am currently still working with selective groups like HLC, SMA, RHS on my new v3 ballistics as a test and so far on the values I have released things are looking very very promising. However on the public front I have also been making excellent strides; I now have my new public update almost ready, its a pack I am calling my core 4 pack as these are the core 4 most popular pistol/SMG calibers on the market. Fear not as I am also working on 9x18 Makarov for your Soviet guys which I MAY include as a bonus, and later on I intend to get .380 ACP, .357 Sig, .357 Magnum, .44 Magnum, .454 Casull, and .50 Action Express; however as these are really non standard rounds for either Mil/LE they do not take precedence. As you can tell I have gotten rid of some rounds as they were not needed, I have also changed some to their appropriate Mil-Spec designations and have refined ballistic performance as well even though that info is not listed here. I also have completely reworked 5.56x45mm NATO including changes to penetration where needed as official US Mil documentation provides, and muzzle velocity mathematically calculated per bullet to ensure accuracy, and yes that math checked out with .1% deviation (not an exaggeration). Also when it comes to everyone's favorite 5.56 round the Mk262 Mod 1 i have changed the ballistics coefficient from a G1 to a G7 to assist in better calculation of that rounds performance down range to ensure proper performance. My 5.56x45mm values will be included with a few upcoming mod packs by HLC and SMA, with some special entries, I now have the following barrel lengths mathematically calculated for all 3 bullets. these will be made publicly available after my work with HLC and SMA is complete which I am HOPING will be in the next 1-2 months. Hello everyone that follows my work, I know its been quite some time since I have last posted, this does not mean that I have not been doing ballistics. Since my last post there have been 2 HLC releases that have been updated using my newest ballistics. For the time being I have stopped updating my completed pages until I can absolutely go no further in terms of realism and authenticity. What I am doing is working with developers like HLC, SMA, and RHS in the background to give them my latest "beta" versions. In some upcoming releases there will be some major changes to how ballistics work based off of new accurate (usually military backed) data for the mil-spec rounds. One of the biggest changes coming is small caliber AP rounds featuring tungsten carbide cores, like the .300 Win Mag AP round Toadie2k has in his pack. Through extensive testing I have found for small/medium caliber rounds to have a damage coefficient of 9 they simply do to little damage, so I have changed this to a value of 7 for small/medium caliber munitions. There are currently little to no changes from coefficients 5 or below, however that being said some other changes in that respect are coming to 5.56x45! When I started this project over a year and a half ago there was little to no data ANYWHERE on the M855A1 EPR, let alone civilian ballistic testing. Well now they seem to be coming out into public hands though various "avenues" and some authentic ballistics testing has been done, and I am rather impressed. Due to the availability of ballistics data on the M855A1 EPR it has been determined that there are 3 variants in existence, the prototypes which featured a bismuth/tin core, the first run batches which had copper cores and an extremely high chamber pressure, and the new production with a 3K less chamber pressure and refined propellant achieving slightly higher velocities and better standard deviations. All of the rounds I have seen tested by civilians have been the circa 2015 active duty munitions, not only will they pierce Level III+ AR500 steel armor at 15 feet they will also penetrate AR650 Level III+ SAPI steel plates, and in both bare gelatin and steel plate testing the rounds will have immediate jacket separation and create 2 wounding tracts after 10 inches of penetration going no further than 22 inches in bare gel and 16 inches after hitting the armor. The Mk318 Mod 0 will now be discontinued by me as I will be supporting the brand new Mk318 Mod 1 dubbed by the US Marines as the "silver bullet" due to its nickel plated jacket. There are very few differences from the Mod 0 to the Mod 1 besides the nickel plating, but they are significant enough for me to make the switch. The Mod 1 has the exact same barrier penetration as of the M855 (not the A1), but penetrates no more than 16 inches of bare gelatin, it also features a completely copper core with bullet elongation and increased ballistics coefficient. I have been asking around about the ballistics coefficient and I have gotten a few responses that seem conflicting. However I have been doing my own testing using JBM ballistics with all the data I have and its looking pretty interesting, somewhere around a .330 G1. As for the Mk262 mod 1, not much has changed, the G1 BC MAY go up if the data is authentic, but there is just a ton of data available for this round and I think I got it pretty damn well nailed right now. The Mk318 Mod 1 as I have been told by a personal military source who wishes to remain unnamed even though the data is limited distribution UNCLASSIFIED stated that the new Mk318 Mod 1's G1 ballistics coefficient is around .310 as its based off of another federal round that is commercially available for small to medium game. As for the Mk262 Mod 1, I will be using its defined G7 ballistics coefficient which is .190 G7. Addendum: The closest round I could find on the Mk318 Mod 1's profile is the Federal Fusion MSR, the contouring, canneleuring, and overall profile suggest that with a copper core instead of a lead core would be ballistically similar to the Fusion MSR round which states a .310 G1 ballistics coefficient. I have been developing ballistics directly with a few developers mainly HLC (been kinda behind on work for him), and SMA. After extensively reviewing magazine swapping vs accurate ballistics per barrel length I want to know what the community thinks is more important right now since the Joint Ammunition & Magazines project that I wanted to work with has been dead in the water due to outside factors (this does not mean I will not happen, just that it has yet to come to fruition). Would you rather prefer the following? 1. Accurate ballistics based on barrel length WITHOUT magazine compatibility between certain firearms in a pack. 2. Accurate ballistics based on a single barrel length allowing magazine compatibility between all firearms using that caliber in a pack. BlazenChamber and I have reviewed the default BIS way of adjusting a barrel length using their "modifier" system and it ends up breaking past my 5% threshold. Unless the JAM mod can get underway and finished and adopted by all the major modders this is a significant question that has ramifications either way. Have a replacement for bis default weapons with this data? Sorry for the long waited answer but unfortunately with current BIS code limitations in place regarding the use of PBO's I can not do this, I would love to but its just not currently feasible for me right now. I have been busy in the background these last 8-9 months with gathering new testing data where applicable, playing other games, asking developers questions, and researching the viability of a community ballistics library for developers. Community Ballistics Library project is currently on permanent hiatus until BI allows for + or = coding without the use of compatibility PBO's, this is a BI issue, nothing I can do about it, ask BI to allow this though official support channels if interesting in helping. I will also be transitioning to single barrel lengths with maximum applicable barrel lengths for platforms that share common magazines. Many sniper weapon systems or firearms the use their own proprietary magazines do not apply and will have custom ballistics based on their barrel length. This will remain like this for the foreseeable future to ensure magazine interchangeability, authentic feeling, and its based on developer feedback with 100% support for this method. In regards to ballistics changes, there are numerous changes coming, and I will focus on 5.56x45mm NATO right now in this post as its where I got my start on all of this editing. 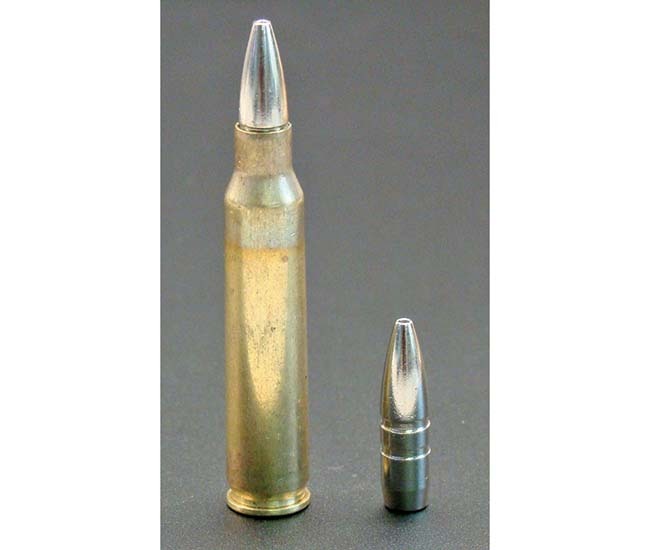 M855A1 EPR - Thanks to civilians getting their hands on some very very hard (almost impossible) to get official US Army issued M855A1 EPR bullets they have done ballistics gel testing from a wide variety of barrel lengths and even AR500 armor testing. This data has made me change the bullets parameters accordingly. Let me makes this perfectly clear, the M855A1 EPR is SUPERIOR to the Mk 318 Mod 0/1 in every way. It has a higher ballistics coefficient (not by much but its still better), it has a higher initial velocity across a wide spectrum of lengths, its penetration capabilities are exceptionally better, and its wound tracts are catastrophic to say the least. I can not state this enough, the M855A1 EPR does NOT act like a traditional FMJ Ball round AT ALL. It explosively fragments about 3-4 inches into gel, that fragmentation effect lasts until about 9-10 inches into the gel where the steel tip penetrator and the copper slug separate and violently tumble in different directions. The clear gel video I will be linking is NOT FBI spec gel, but it does show you what the round does in terms of fragmentation and core to penetrator separation. The yellowish gel block beneath that is FBI spec organic gelatin from VYSE, and that shows the real permanent wound cavity, its horrific to say the least. M855A1 EPR FBI Spec Organic Gel Picture **PLEASE NOTE** This picture was enlarged by the photographer to give you a close up of the permanent stretch cavity, this block is showing about 12 inches total of FBI spec gel. In light of this I have decided to make this bullet act like an Open Tip Match projectile with a value of 4 instead of 5, its just that destructive. Its penetration capabilities will not be changed much, but it did confirm my earlier research that this round will penetrate 3/8 inch mild steel at 350m from a 14.5 inch NATO MILSPEC barrel. I have just finished an entire overhaul for all Specialist Military Arms munitions covering 5.56x45, 6.8x43mm SPC II, 7.62x35 (.300 AAC Blackout), 7.62x39 Russian (YES THEY ARE COMPLETED), 7.62x51mm NATO. *PLEASE NOTE* FROM HERE ON OUT I AM OFFICIALLY REMOVING MK 319 MOD 0 BALL BARRIER IN 7.62x51mm NATO FROM THE LIST! I was using data attained from NAVSEA's product powerpoint presnetation, which is usually very accurate data, as it turns out the MK 319 Mod 0 data they placed there was not actual ballistics data but TARGET BALLISTICS DATA. It was what they were looking to have attained by 2 ammunition manufacturers. Both ammunition manufacturers failed to meet the project expectations and the MK 319 Mod 0 never officially left testing. The M80A1 EPR was chosen as the US Military's new 7.62x51mm NATO Ball Ammunition as it surpasses the MK 319 Mod 0 even if it were to attain the projects requirements. The Special Ball Long Range is still there and will remain there as accurate data is available and its a viable round, it has a very high chance of replacing the M118LR. I just found this thread and its wonderful. I was wondering if it is possible to create an ammo replacement mod that would re-map all the ammo ballistics for default ARMA weapons to the settings here? This way when we load up games with SMA for example, then the default weapons would also be calculated relatively. Edit just re-read your reply above that you cannot replace BIS's ballistic system. I guess we to remap all the weapons manually or create compatibility patches for other mods such as RHS and etc... as well. Lastly, does ACE use the same ballistic calculations or is it different? ACE Advanced Ballistics was developed by Ruthberg, his ballistics simulation through external DLL's offers a much more realistic depiction than my work does using BIS code. There is a caveat to this however, even using DLL's the ACE Advanced Ballistics suite WILL cause additional performance strains on a server/client depending upon hardware and settings this can vary, but I have heard people say the impact is not worth the extra simulation unless setting up custom sniper missions where you might want maximum authenticity. I AM IN NO WAY KNOCKING ACE ADVANCED BALLISTICS NOR RUTHBERG'S WORK, JUST GIVING ACCURATE INFORMATION BASED ON PERSONAL EXPERIENCE AND OTHER DEVELOPERS EXPERIENCES. Ruthberg and I have in the past shared ballistics database information and if he wishes to do so again in the future I am more than willing. However from what I have been able to gather Ruthberg has disappeared for some extended bit of time, and no one seems to know what has become of him, I do wish him well though. I hope this has answered your question, if not please let me know if there is anything else I can help answer.